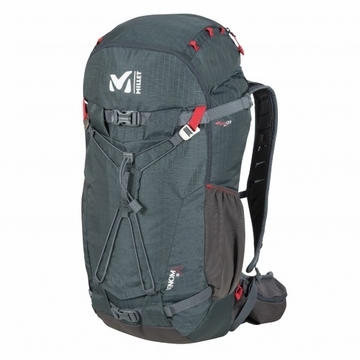 4S as in 4 seasons, this 35L capacity backpack is built for trail running, all year round. Besides its summer features, it has a brand new carrying system designed for winter use. It will hold snowshoes , skis or a snowboard. Its flexible Alpine shape promotes fluid mobility on steep and technical terrain; and interior organization, with a separate front compartment for shovel and probe. The highly breathable and wickable ARIAPRENE foam back panel is hypoallergenic, anti-odor and eco-friendly. The VENOM 4S - the ecological, economical alternative.